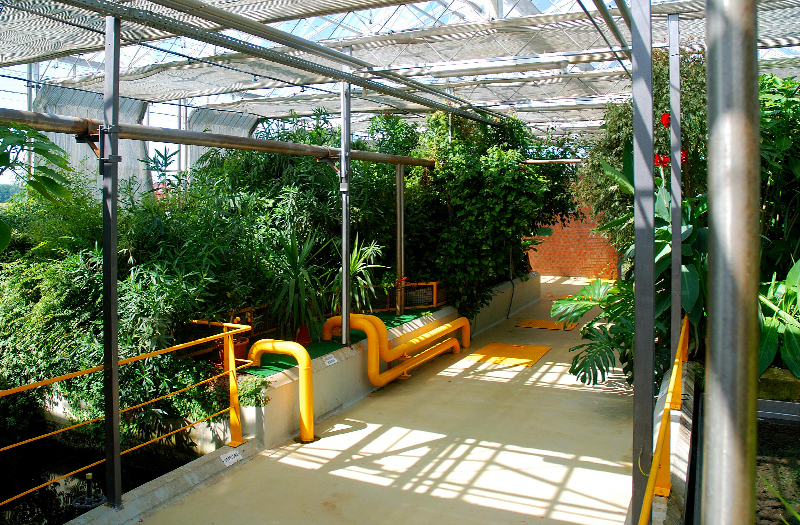 Facility - Innovative Solutions for Wastewater Treatment | Organica Water Inc. 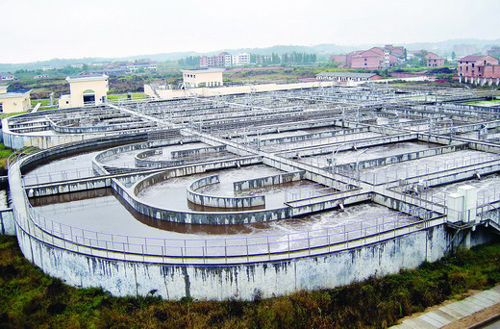 Traditional wastewater treatments plants are large, centralized, smelly facilities. As such, they can only be built far outside of population centers. This results in massive infrastructure requirements and a much higher treatment cost. Additionally, more than 90% of global treatment costs are not actually going towards the treatment of the water, but rather in the sewer network. With land values and water scarcity on the rise, it is clear that sustainable water management for any community MUST include onsite treatment and water recycling in population centers. However, if the treatment plants are smelly and far away from the people, then this is not an economically feasible or sustainable solution. Over the past two decades Organica Water has developed a highly imaginative approach to wastewater treatment for urban and residential areas. 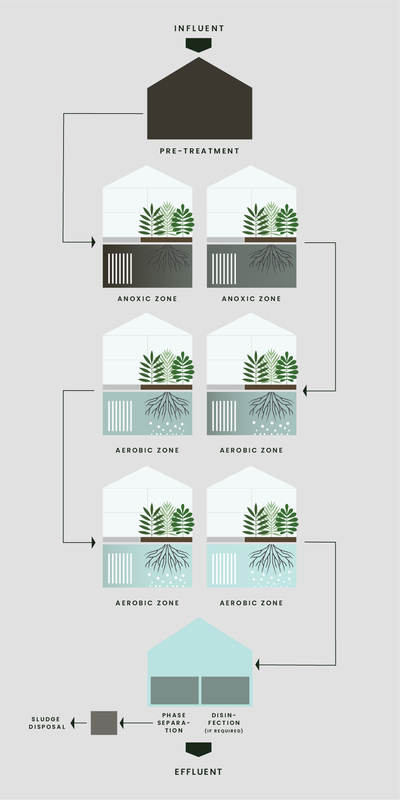 Our facilities utilize active biofilms on natural (plant) and/or engineered root structures, all housed in a fully-enclosed, odorless facility. The result is a solution which offers a significantly reduced physical footprint and lower operational and infrastructure costs when compared to conventional wastewater treatment solutions, all in the form of a pleasant botanical garden-like environment that can located right in the center of town! The Organica Food Chain Reactor (FCR) facility is a type of Fixed-Film Activated Sludge system using natural (plant roots) as well as engineered media (inspired by root structures) to allow growth of robust and healthy biomass that effectively gobbles up the incoming load in the effluent. 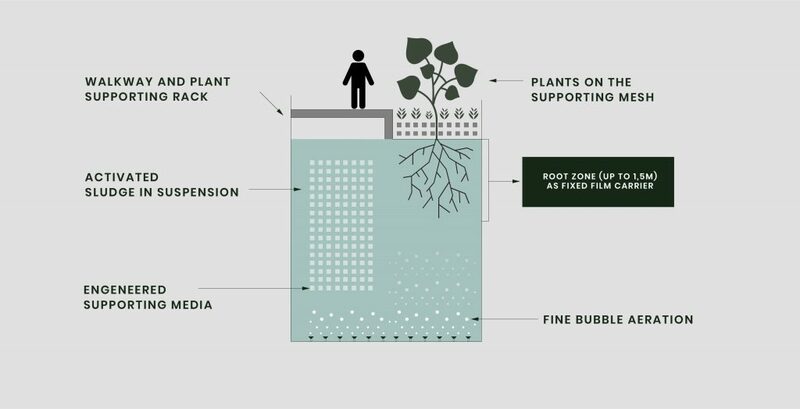 The plants – via their roots – not only provide a huge amount of surface area, but they also complete the food chain that exists in the biological reactors, thereby enabling a diverse ecology and resilient biofilm that is able to handle a higher amount of fluctuations in influent quality and quantity compared to conventional suspended or attached growth systems. One of the key factors in achieving space efficiency is the fact that the Organica FCR can be designed without using suspended biomass (MLSS), which ensures that the solids exiting the reactors can be directly fed to a specially designed disc filtration system, thereby eliminating the need for secondary phase separation. Organica’s team of trained “wastewater” architects are able to study the surrounding area around the potential site and customize the layout, façade and accessibility of the Organica Wastewater Facility to fulfill practical requirements for plant operation and ensure the facility blends in with the surrounding landscape, increasing land value and at the same time making it greener in both senses of the word. Like all Fixed-Film systems, the Organica FCR is based on the same Activated Sludge process that has been used to treat wastewater for nearly a century, whereby micro-organisms and bacteria consume the contaminants in wastewater. Organica FCR drastically improves this process by leveraging a fixed-bed biofilm that grows on both natural (plant) and engineered (patented biofiber media) root structures in a cascading reactor design, allowing a much greater quantity and diversity of organisms to thrive in the same physical space. For this reason, Organica FCR can be considered part of a narrower category of Fixed-Film systems called Fixed-Bed Biofilm Activated Sludge (FBAS), which essentially separates “moving” fixed film systems (like MBBR) from fixed systems like Organica. Organica also offers Organica FCR Hybrid, which is a variation of Organica FCR that utilized both fixed biofilm and suspended (floating) microorganisms. This is often referred to as an IFAS (Integrated Fixed Film Activated Sludge) System. 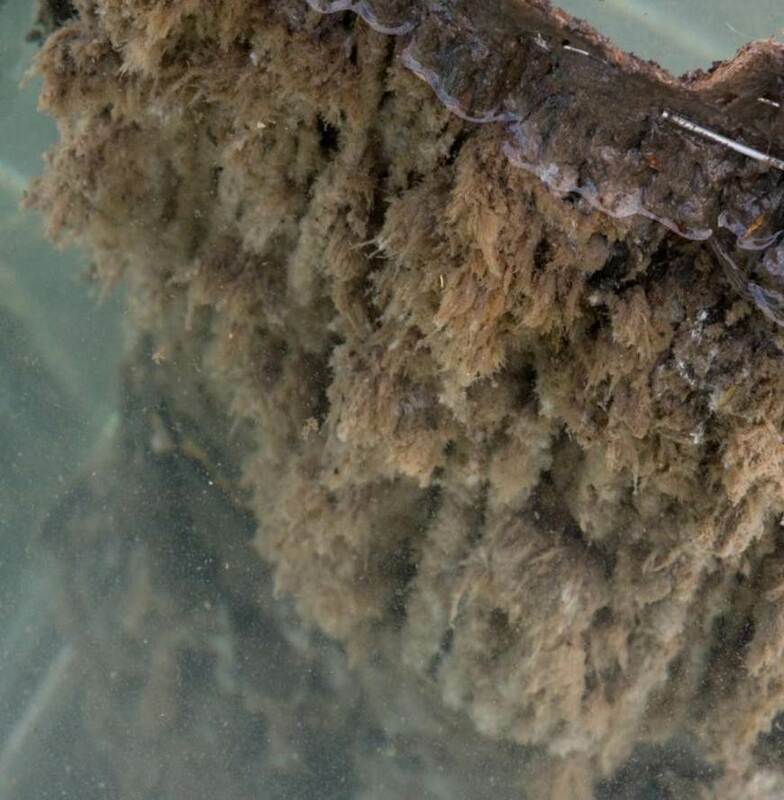 Fixed-Bed Biofilm Activated Sludge (FBAS) is a type of Fixed Film Activated Sludge system that leverages the use of various natural AND engineered media to provide a habitat for a diverse fixed-film bacterial culture which metabolizes the contaminants in wastewater. The combination of smaller reactor volumes, lower suspended solids, and creative architectural design results in 60% smaller physical footprints than an activated sludge design of the same application. The smaller physical footprint results in less land usage and reduced construction costs when compared to alternative approaches. In an Organica FCR Facility, almost all of the biomass is fixed on the natural (plant) and engineered (patented biofiber media) root structures, resulting in low suspended solids throughout each stage of the treatment process. Further, the presence of the plants helps create a loose biofilm structure, allowing oxygen to penetrate into the deepest layers of the biofilm fixed on these root structures. This combination of cleaner water and the loose structure results in highly efficient oxygen transfer rates, thereby lowering aeration requirements, which is the most energy-intensive part of any aerobic treatment process. The result is a 30% or greater reduction in electricity consumption compared to other activated sludge-based solutions. The presence of plants and the cascading reactor design provides a habitat for distinctive self-regulating ecosystems which include higher level organisms. This results in the creation of a natural “food chain”, resulting in up to 20% less excess sludge compared to other activated sludge-based solutions. 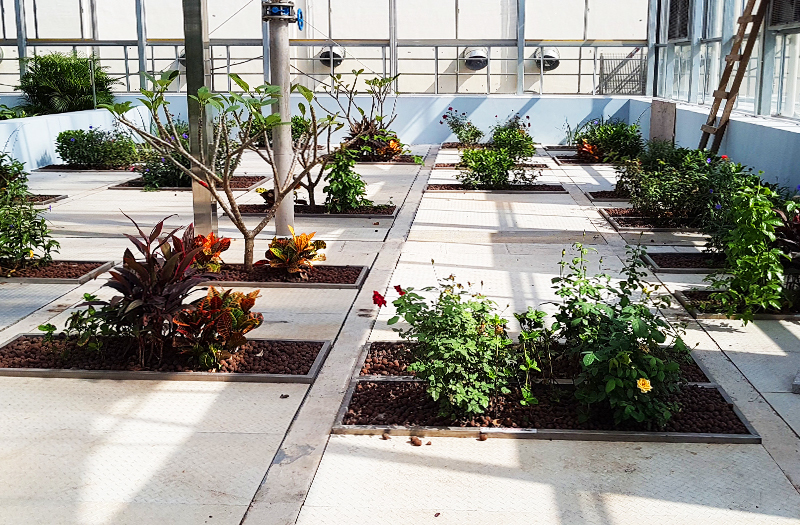 With an attractive greenhouse design and none of the typical wastewater treatment plant odors, the garden-like appearance of an Organica FCR offers a significantly reduced “psychological” footprint. This results in very little buffer zone requirement around the WWTP, preserving valuable land for development in locations where real estate values are high, and dramatically reducing infrastructure costs by allowing wastewater to be treated close to the source. For the smaller range of facilities, pre-engineered Organica Facilities designed to treat up to 4,000 m3/day (50,000 to 1 MGD) offer the contractor to start construction much earlier than usual. Organica has pre-engineered the designs for these size ranges and can thus provide Detailed Engineering in less than 7 days to its partners/clients. The use of root structures as a biofilm carrier in the Organica FCR results in a substantial increase in the diversity of microorganisms present in the system (3000 species vs. 600-800 in Activated Sludge). This enhanced diversity creates a highly stable system that is able to adapt to unexpected fluctuations in the loading of the influent wastewater. Organica Wastewater FCR solution is ideal for municipalities, offering a smaller physical footprint, lower energy consumption, and improved treatment results compared to other activated sludge-based solutions. 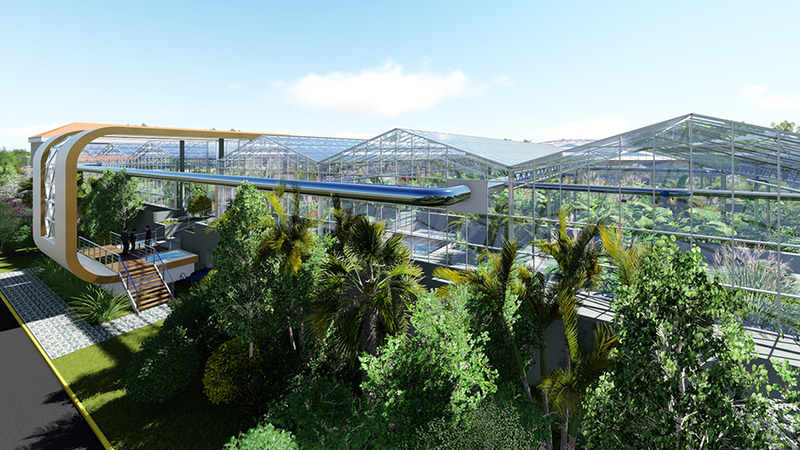 Further, Organica’s unique design philosophy, eliminates odours and improves aesthetics, dramatically reducing infrastructure costs by allowing wastewater to be treated close to the source without impacting surrounding land value. Organica’s Wastewater FCR solution is ideal for residential and commercial real estate developers by lowering operating costs, with no negative impact on neighboring land values. 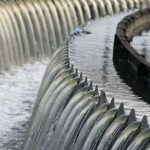 Removes development bottlenecks by increasing the capacity of existing infrastructure and improving effluent water quality to meet stricter regulation limits, all while reducing operating costs. Unique design philosophy allows the Organica FCR solution to be located anywhere, addressing water scarcity challenges in a cost-efficient manner by enabling recycling of the treated water close to where it is used instead of pumping it out to a far-off location. Offers developers a new recurring revenue stream from on-going wastewater treatment services and sale of treated water and/or sludge (for biogas production). 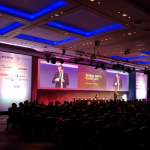 Modular design facilitates a phased construction and commissioning approach in sync with the pace of a new development, thus preserving cash flow until it is required to be spent on treatment capacity. Organica’s FCR solution can transform aging and obsolete infrastructure to meet modern needs without using more land or replacing the existing facility. Organica’s solutions can increase capacity, improve effluent quality and/or process more concentrated influent (e.g. leachate from biogas generation), all while lowering energy consumption and using the same (or less) space. 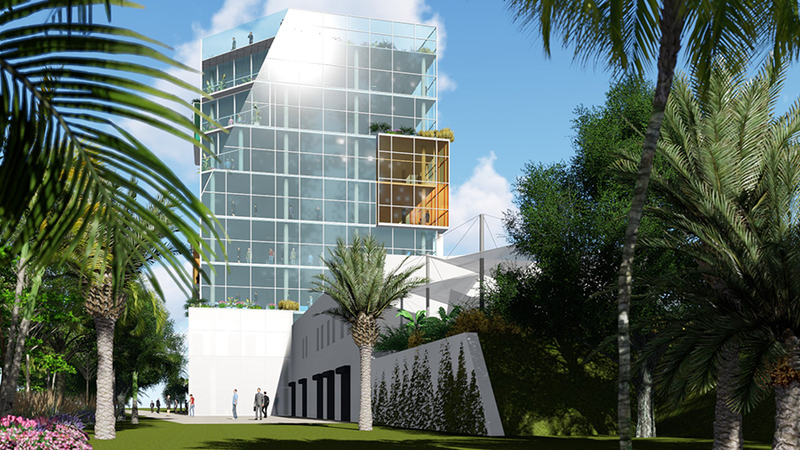 Organica’s FCR solution is also ideal for situations where the surrounding city/town has begun to move closer to the WWTP, as our unique design philosophy, which eliminates odors and improves aesthetics, can appease concerns from the surrounding community. Learn more of upgrade facilities by reading our story on upgraded an aging, 80 000 m3/d conventional facility in Budapest, Hungary. Organica’s FCR solution is ideal for producing treated water that meets the most stringent regulations for water reuse. 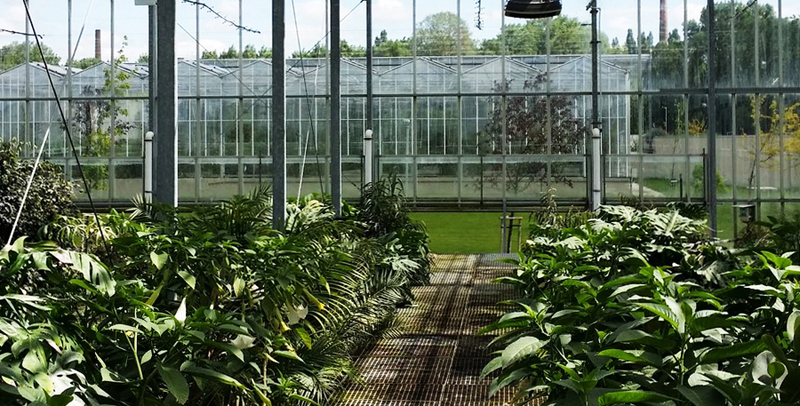 With a greenhouse enclosure, the wastewater treatment plant can be placed near the wastewater source eliminating the need for extensive sewer networks and minimizing reuse infrastructure costs.